New features include support for older models and a guest mode that lets non TiVo users see what they're missing. 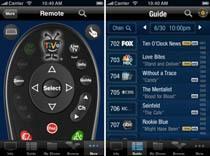 TiVo's iPad app has made its way to the iPod and iPhone along with a few additional features. Like the iPad version, it uses gesture based controls and allows you to schedule recordings, view your program guide, and control your TiVo, but there's more too. The best new feature for those using older TiVos is the ability to control TiVo Series3 HD and HD XL units. You won't have quite as many features as those using a TiVo Premiere, but it's still a nice setup. The TiVo app is also available to those without a TiVo so they can get a taste of what it's like. "As the maker of the world's first and only smart DVR, offering a brilliant TV experience," says TiVo VP Jim Denning, "the TiVo App is an extension of TiVo's best-in-class user experience to iPhone and iPod touch users."